Coleoftheball: Smoothie Sundays! #1 Berry blast. 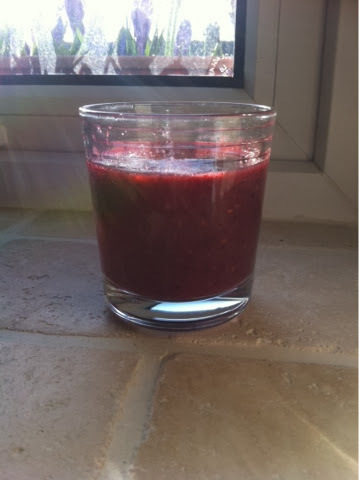 I adore smoothies, so today I though I would share this super easy super delicious smoothie recipie. A couple of handfuls of frozen mixed berries. About 300ml of Apple juice. About a tsp of sugar. This recipie is completely up to you if you want it sweeter add more sugar. If you want it more liquidy add more apple juice. Also if you add some more ice it makes a lovely slushie. Literally all you have to do with your ingredients I chuck them all in a smoothie maker. 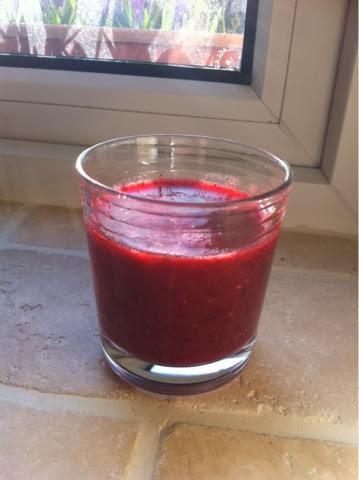 I hope you enjoyed this post, I'd love for you guys to let me know what your favourite smoothie/smoothie recipies are! I really need to get a smoothie maker, that looks delish! Ah yum! Do you think it will be tasty if I added honey instead of sugar?